Transformers: Dark of the Moon. EPIC. The biggest blockbuster and the best 3D you’ll see; an action packed, technical marvel! The stupidity, corny lines and moments are still there, but greatly reduced, and rather surprisingly, at the expense of Hollywood actors I’d never expect to see in a Bay film. And there’s about 30 [maybe more] minutes from the middle of the film that could’ve been cut. Right, if you’re still with me, read on for the good. 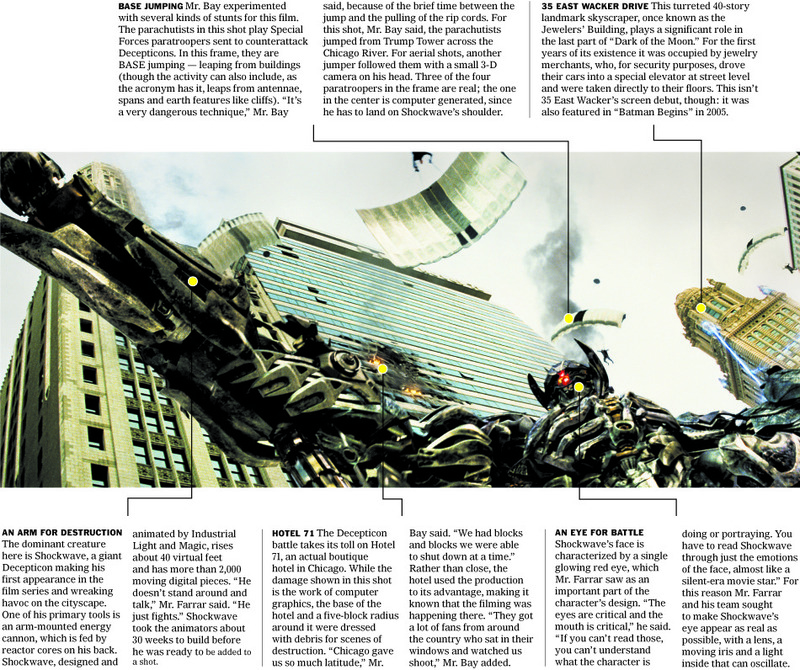 God bless you, Michael Bay. That’s one frame, and there are countless others in this film that have been as carefully planned, and brought to the screen for our wonderment. I burst into uncontrollable laughter at one point, not for the humour, but in awe of the attention and care that has gone into shooting Transformers: Dark of the Moon. This is the best 3D I’ve seen. I know Bay learnt, and worked with James Cameron, and I loved Avatar. It was like no other, but, it was set in another world. Bay, in conjunction with Industrial Light and Magic, has blended live-action and CG in 3D like no other, and the destruction brought down upon D.C. and Chicago is awesome. The last hour or so is complete carnage, on a scale like you’ve never seen. How Bay manages to crystallise the madness that is ensuing all over the place is beyond me, and the skill involved has to be admired. The vast assortment of Decepticons and Autobots are very identifiable through the simple contrast of dark greys versus primary colours, with slow motion being used sparingly, but to devastatingly beautiful effect. Action and stunts of the highest quality. Could it have been better? Sure, but honestly, I didn’t even have time to think about that while I was having the time of my life, enjoying the heck out of it. I’m glad I broke tradition and made my first viewing an IMAX one. I mean, really, this was meant to be seen on the biggest of screens. The base jumping sequences. The highway sequence. Wow. Just, wow. These two stand out, but I can’t wait to see it again in two days, and take it all in for a second time [that’s what she said]. → Err, Google, can you bring back realtime search until it moves to Google+…? ← Google+. Initial thoughts from a non-Facebooker. *sigh* always write these in too euphoric a state. Fixed. I couldn’t agree more! 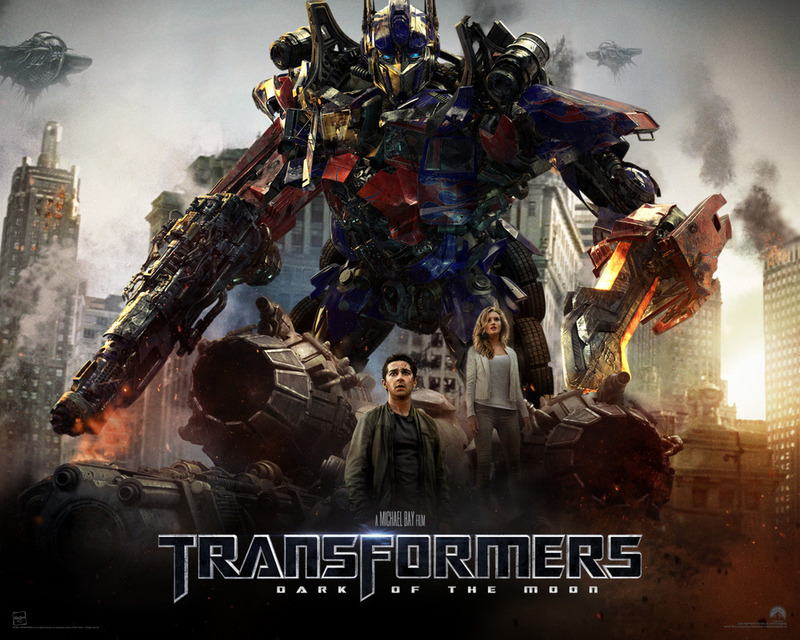 Best Transformers movie out there. PURE ENTERTAINMENT! I’d say more like an hour-and-a-half from transformers dark of the moon could’ve been cut lol. A commercial simply doesn’t need to be two+ hours long. To think; I had such hopes for the final installment too. The first was fantastic!